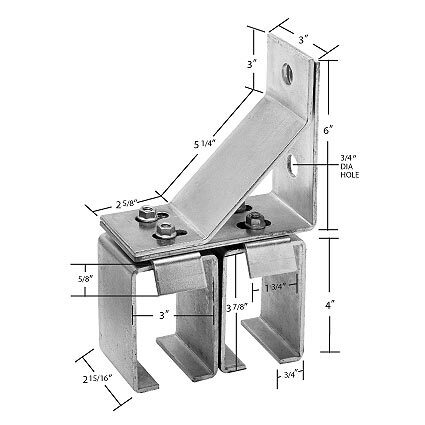 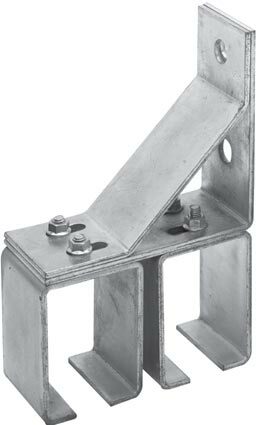 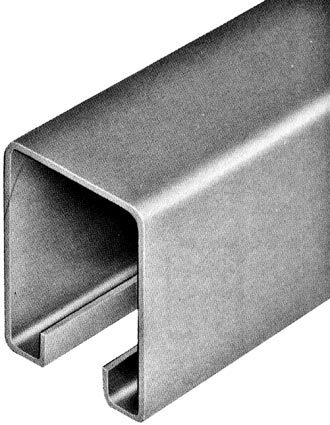 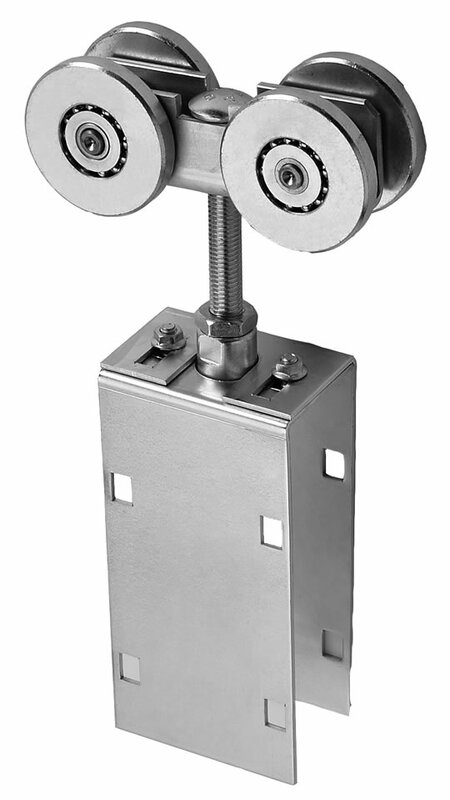 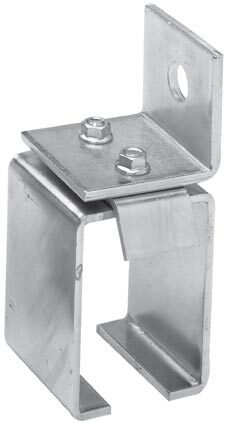 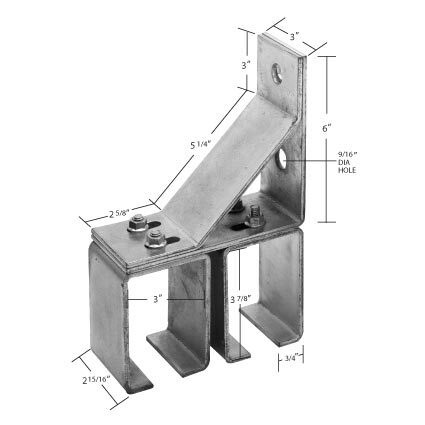 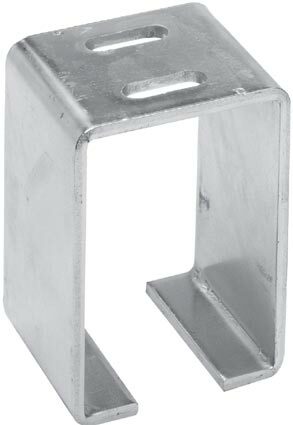 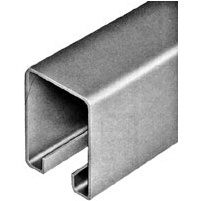 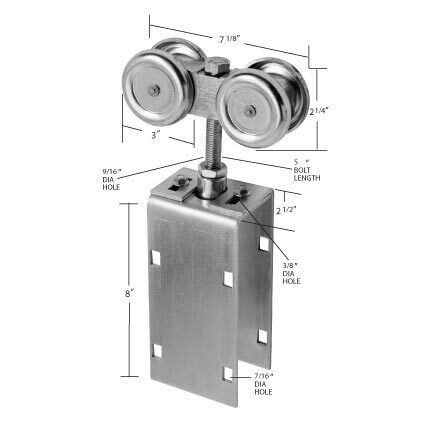 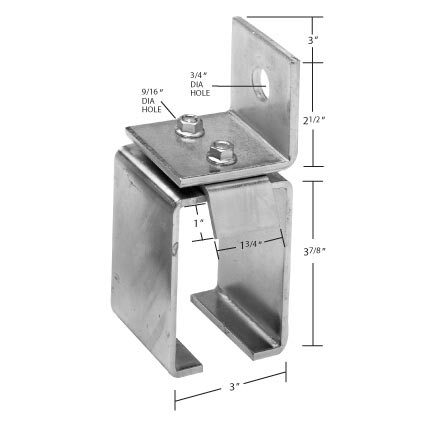 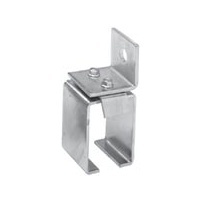 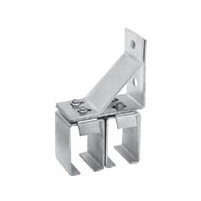 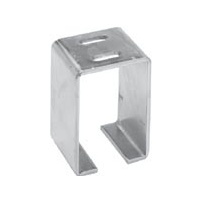 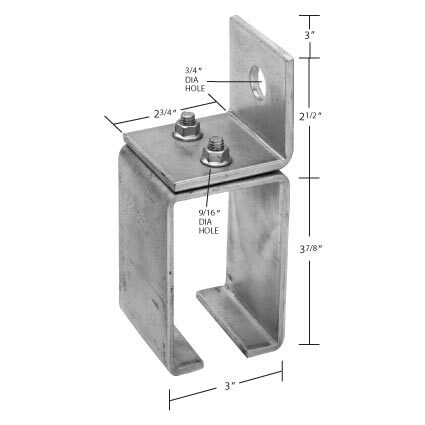 For doors 2-1/4" to 3-1/4" thick, weighing up to 1,000 lbs. 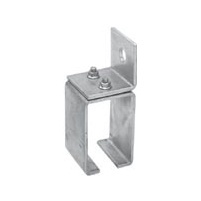 if brackets are spaced no more than 18" on center. 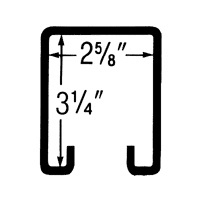 (Double brackets - 12" o.c.) 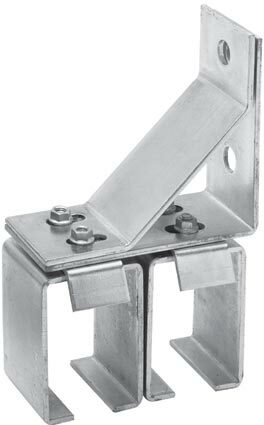 Extra heavy duty 13-gauge track with galvanized finish for long corrosion-free life. 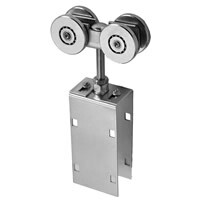 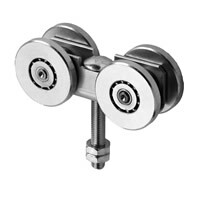 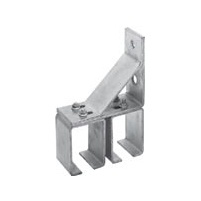 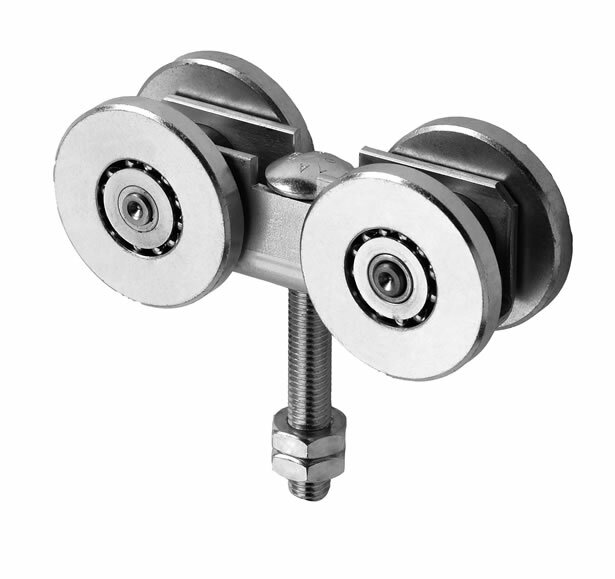 Made of heavy-duty 11 gauge galvanized steel, both are vertically and laterally adjustable. 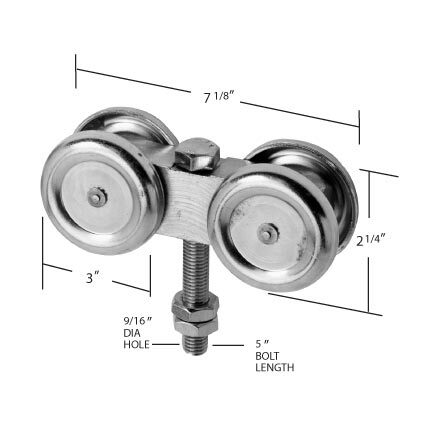 Wheels are 3" in diameter, 5/16" thick, and zinc plated. 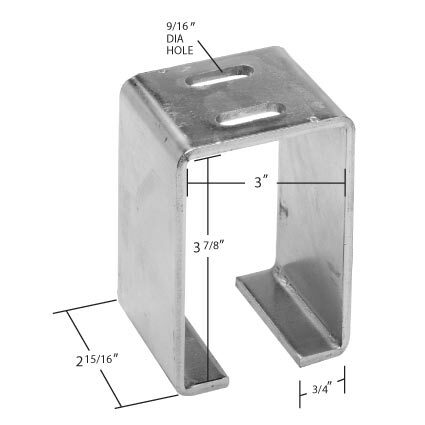 Bolt size is 5/8" x 11" - 5" long.